The new update includes such a big feature that it merits a major release of its own. Now you can sit back and let ActiveCollab create tasks for your team automatically - all thanks to recurring tasks. Recurring tasks are common tasks that you create often. Think of them as task templates that can get created every day, week, or month. 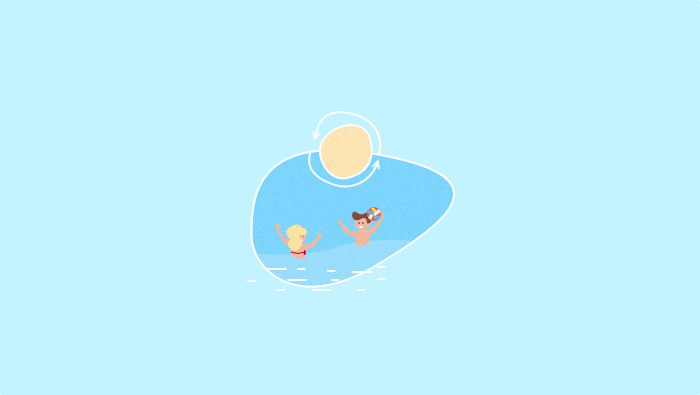 We released this just in time for summer, so you can go on a vacation without worrying the office manager might forget to pay for electricity or the team forgets to service a client you have on a retainer. 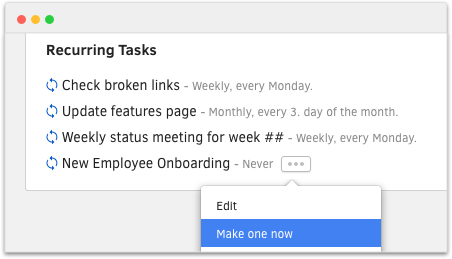 You can also use recurring tasks as templates. 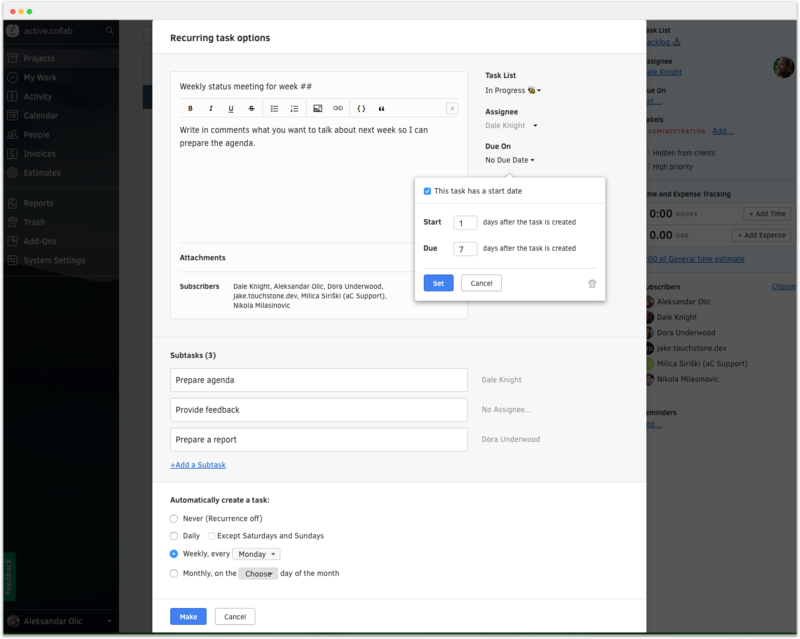 For example, you can make a recurring profile called "New employee onboarding", disable recurrence, and make subtasks for everything that needs to be done. Then, when you hire a new employee, you just make a task from the recurring profile. To create a recurring task, create a regular task first and open it to bring up the details. Then, open the task options dropdown (...) and click “Make Recurring Task”. You can assign people and set other details just like in a regular task - the only difference is that the you can set the recurrence and that the start and due dates are relative (based on the task creation date). 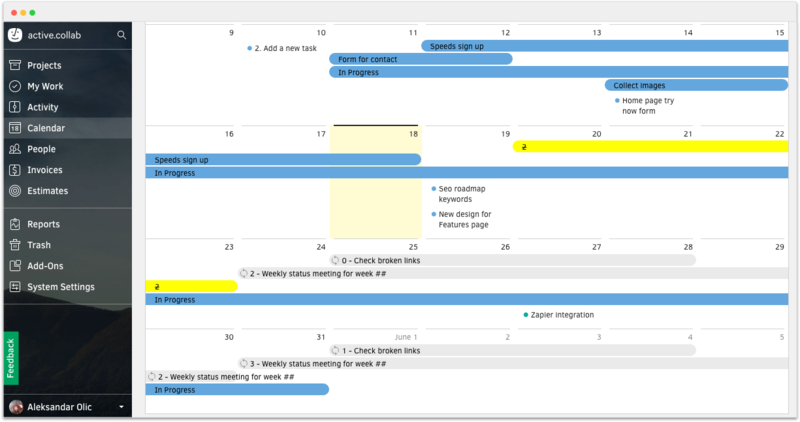 Once you make a recurring task profile, it will show up at the bottom of your project. There, you can update it or create a task right away. Recurring tasks will also show up in the Calendar so you always know what's coming up and can plan accordingly. Quick Jump - instantly open any part of ActiveCollab or project by pressing CMD+K (Mac) or CTRL+K (Windows). Exact Time & Date on Comments - hover the mouse over when a comment was posted, and the exact time and date will appear in a few seconds. If you think of a really creative or productive way to use recurring tasks, leave a comment. We’d love to hear it!